In the decade that it took a renowned Islamic scholar to produce an English-language Quran thick with commentary, he became less of a tourist and more of a local inside the pages of the holy book. When Seyyed Hossein Nasr’s longtime publisher, HarperOne, contacted him some 11 years ago asking him to oversee a "study Quran," in the style of its successful, 1993 Study Bible, the Tehran-born Islamic philosopher initially balked. "I'm not a Quranic scholar," he told the publisher. It wasn't that Dr. Nasr—a devout Muslim and one of just a handful of faculty members holding the title "university professor"—didn't know the holy book backwards and forwards. He has translated Quranic passages for his more than 50 books and 500 scholarly articles, and he recites Quranic verses by heart in his daily prayers. But to him, reading the Quran extensively for years didn't an expert translator make. "I'm not really competent to do this," he recalls telling the publisher. When his editor said the book would be his or no one's, Dr. Nasr eventually caved, following a period of introspection, prayer, and frankly, a "sense of guilt," Dr. Nasr says. "I decided God will help me." Indeed, Dr. Nasr would subsequently endure open heart surgery, recover fully and preside over The Study Quran: A New Translation and Commentary, published in November 2015. The new book—a whopping 2,048 pages, including maps and timelines—adds a unique depth of context to the Quran, often from commentaries that previously hadn't been translated to English. "These 10 years caused me to have a lot more familiarity, more intimacy," he says of the Quran. He compared it to visiting a place each year, as opposed to experiencing it as a local. One thinks one knows the place, and then suddenly "you see it in a much more intimate way," he says. "That's what happened to me." Dr. Nasr did have one condition for his editor, which HarperOne accepted: that the entire team be composed of Muslims rather than scholars who would study the Quran from either a secular or a purely academic perspective. To help in the project, Dr. Nasr enlisted three leading Western-born scholars, who he says are “among the best of the young generation of Islamicists”: Caner Dagli (College of the Holy Cross), Maria Dakake (George Mason University) and Joseph Lumbard (American University of Sharjah). Later, he also brought on Mohammed Rustom (Carleton University). The team, he says, was very close knit. "There was a lot of cooperation, and also a lot of bickering and debate, like Jewish rabbis debating a text in yeshiva," he says, referring to rabbinical academies, whose curricula are often typified by intense intellectual debate. That Dr. Nasr knew the other team members and all five shared a similar worldview helped preserve the text's unity, he says. The response to the book, Dr. Nasr says, has been overwhelmingly positive, with the exception of occasional criticism from Salafis and Wahabis, who favor strict interpretations of the Quran. Some professors have criticized the work because "Orientalism doesn't dominate over the scene completely anymore," he says of the more secular-minded scholarship. Among the nearly three dozen scholars offering praise on the publisher's website, the book seems to conjure words like “extraordinary” and "monumental"—"a monumental milestone," "a monumental accomplishment," "a monument of religious literature." 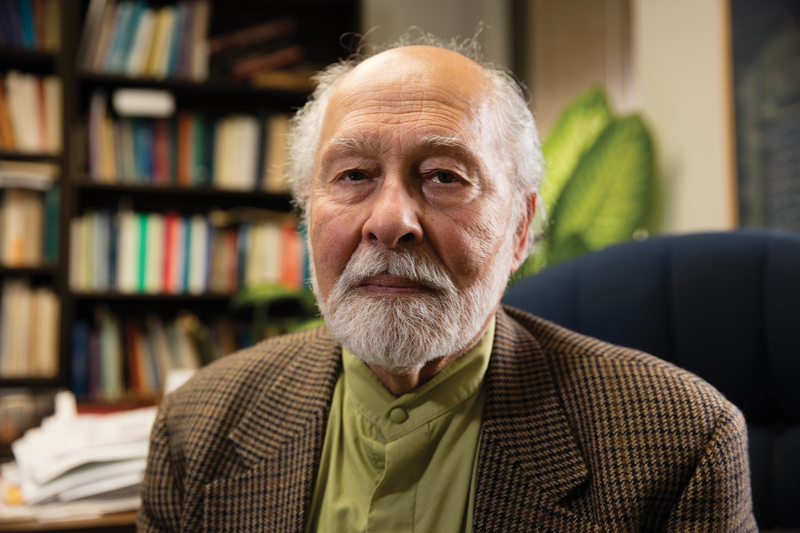 Quran expert Walid Saleh, an associate professor at the University of Toronto who specializes in Quranic history and exegesis, told GW Magazine that The Study Quran represents a turning point in English study of the text. "You have in one book an attempt to present the Quran for the educated reader," he says. "The Quran is now presented in the same format as the Bible, and as such, makes it more accessible to non-Muslim readers." And in its religious point of view, The Study Quran preserves the holy book's relevance to devout Muslim readers, he says. "It is not presented as literature, or an archaic work, but as revelation and scripture that has significance to people." That's just what Dr. Nasr had in mind. "I'm a believing Muslim. I believe the Quran is the word of God, and only God really permits his word to be understood. It needs a kind of divine help," he says. "We didn't deal with this casually, as if we were translating The Brothers Karamazov." Understanding a sacred text, such as the Quran, Dr. Nasr says, requires faith. And then context is also vital. "There are people who have read the Quran for 20 years, and they think they know the Quran, yet they're chopping off heads in Syria," Dr. Nasr says. The book, in part, was meant to offer a counterpoint to some of the ways the Quran has been interpreted to destructive ends, he says. In an article titled "Could this Quran curb extremism?" CNN's Religion Editor Daniel Burke notes that prior English translations of the Quran often had been "ill-suited to foiling extremist ideology or introducing Americans to Islam," lacking scholarly context and accessible language. "The commentaries don't try to delete or hide the verses that refer to violence. We have to be faithful to the text," Mr. Burke quotes Dr. Nasr as saying. "But they can explain that war and violence were always understood as a painful part of the human condition." Part of the problem, Dr. Nasr feels, is that modern readers, particularly those who spend the bulk of their time on social networks, can be easily misled. The abundance of commentary and context in the new translation—walls of text that sometimes dwarf Quranic verse on the page—was in part an attempt "to avoid the soundbyte habit, which the young people have gained so much on Twitter, the Internet and TV," he says. "Fortunately, this has not disappeared completely. The great novels of [Leo] Tolstoy, [Honoré de] Balzac, [Marcel] Proust or [Herman] Melville, which are hundreds of pages, are still read. There are still people who like to read." 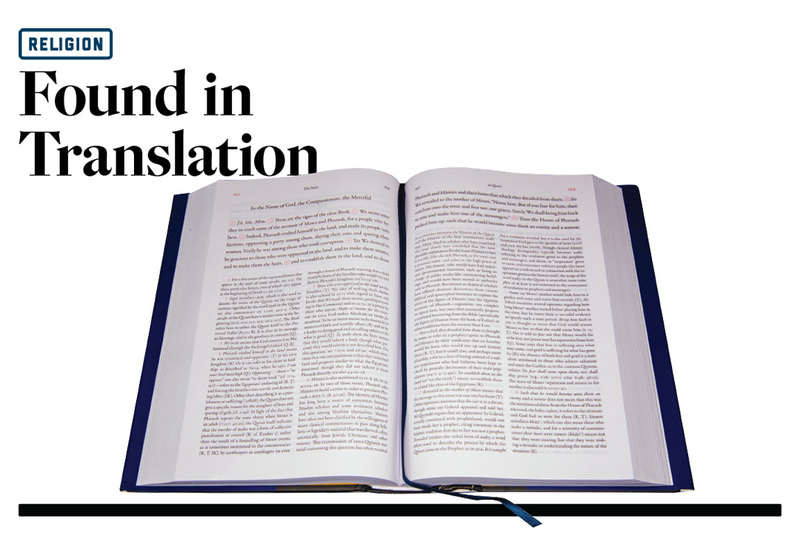 And while that same digitally connected world means that perhaps more non-Muslims than ever are reading the Quran—when Peter the Venerable had the Quran translated into Latin in the 12th century, for example, Dr. Nasr asks, "How many people read it? "— access isn't the only obstacle. "You can read the beautiful psalms and still be misguided," he says. "The Quran has many levels of meaning." 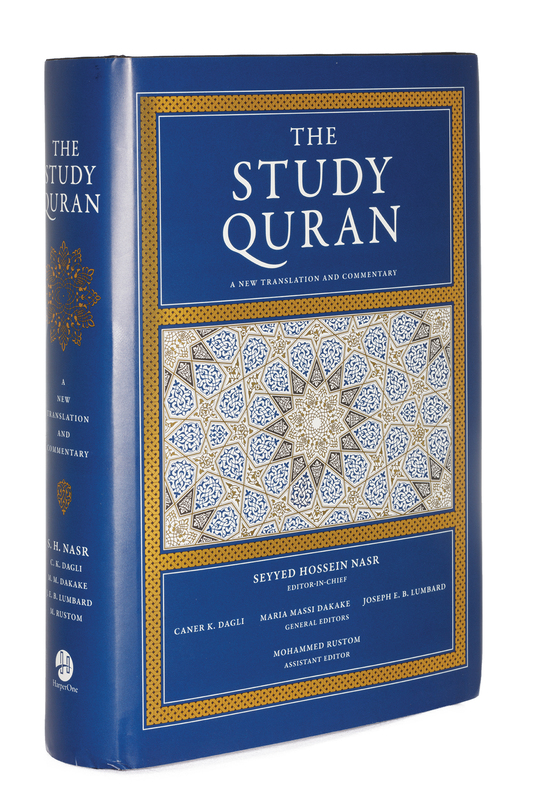 The Study Quran, uniquely, attempts to capture as many of those levels as possible, relying upon the "complete Islamic tradition," both Sunni and Shiite, as well as theological, philosophical, grammatical, linguistic, historical and mystical insights. "We made use of all of them," Dr. Nasr says. From the latter—the mystical tradition— he notes the Quranic verse, rendered in his translation as, "Wheresoever you turn, There is the Face of God" (2:115). "You can't solve that by legal means," he says. Among the context that The Study Quran provides on the verse is the Sufi mystical doctrine of wahdat al-wujūd, or a "oneness of being." While the braiding of all these threads into a single translation is something many scholars have been willing to call historic, Dr. Nasr's own view seems hewn by numerous Quranic passages that preach humility. "This is the first time in history, perhaps, that this has been done," he says.